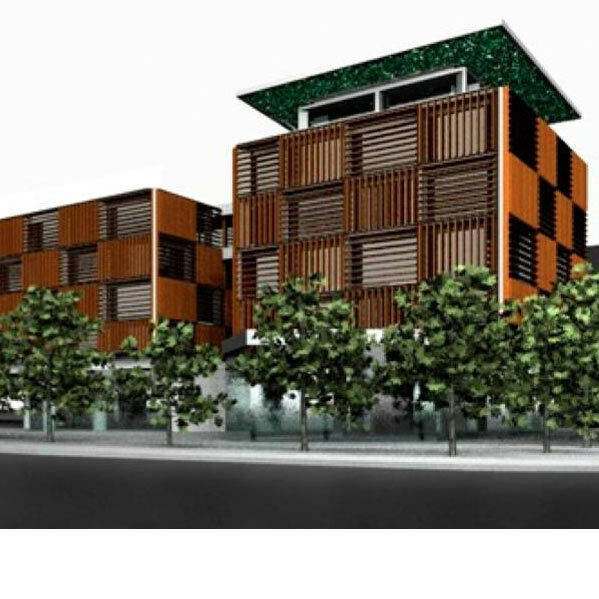 The current project focused on a deep energy retrofitting and rehabilitation of an existing office building complex. 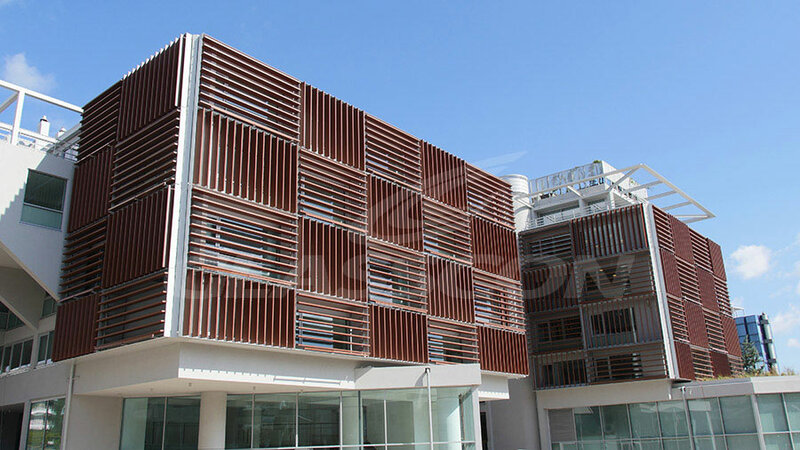 The goal of the redevelopment was the operational and aesthetic revival of the asset and its optimization in terms of energy efficiency. 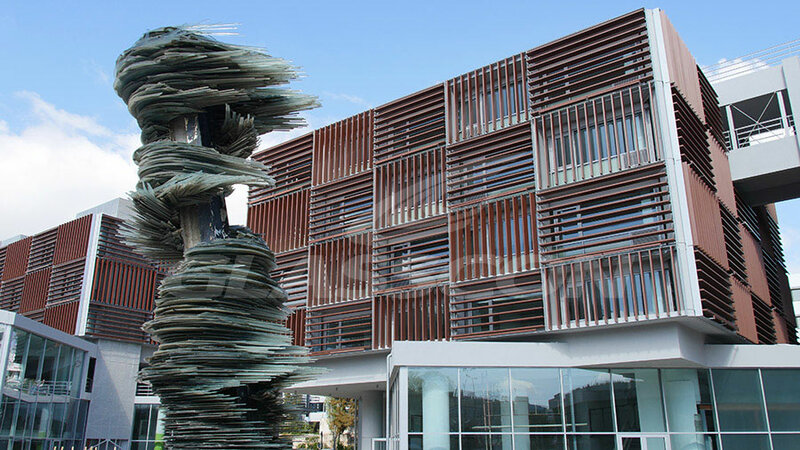 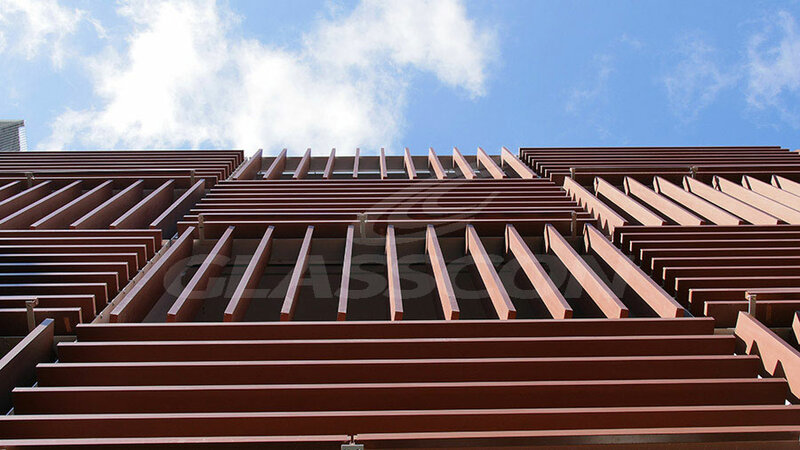 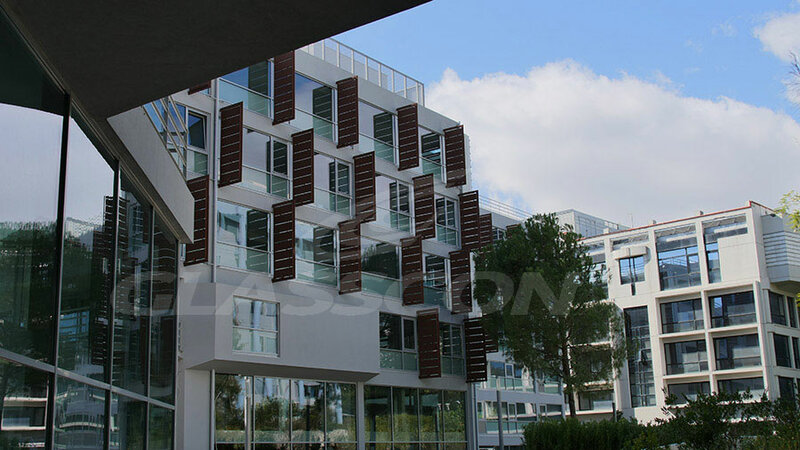 GLASSCON was involved in the extensive rehabilitation works including the design, engineering, fabrication and installation of an architectural second skin (brise soleil). 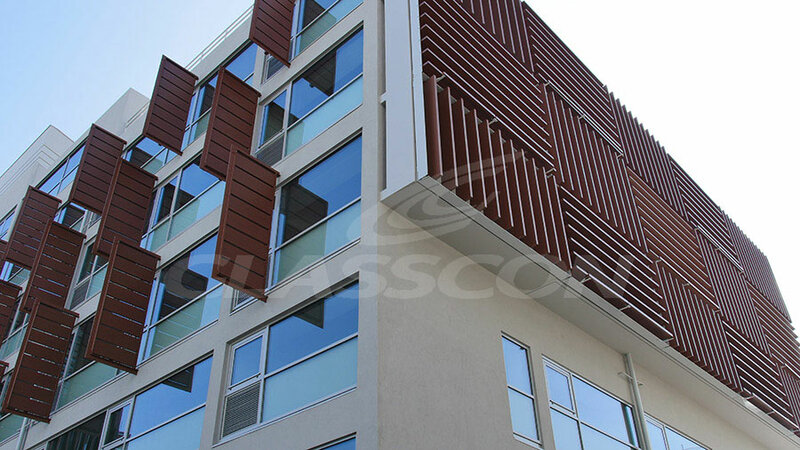 This innovative shading system contributed the most to the building’s special LEED BD+C: Core & Shell platinum certification. 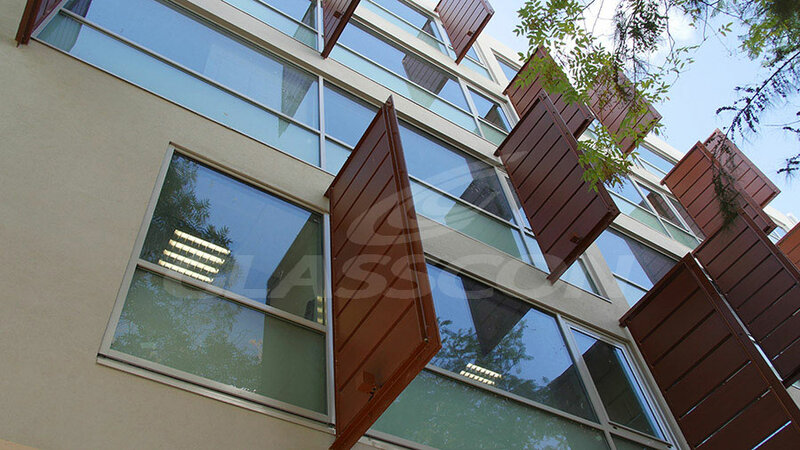 As part of the energy rehabilitation, GLASSCON designed a kinetic solar shading system that combines solar gain and daylight control with enhanced visual appeal. 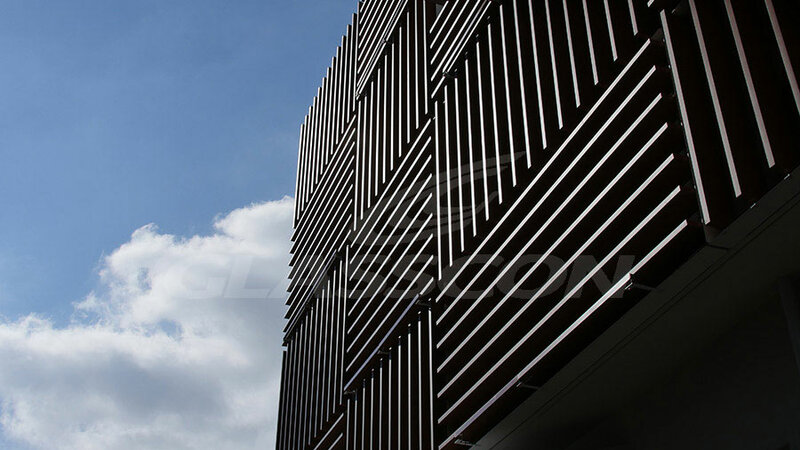 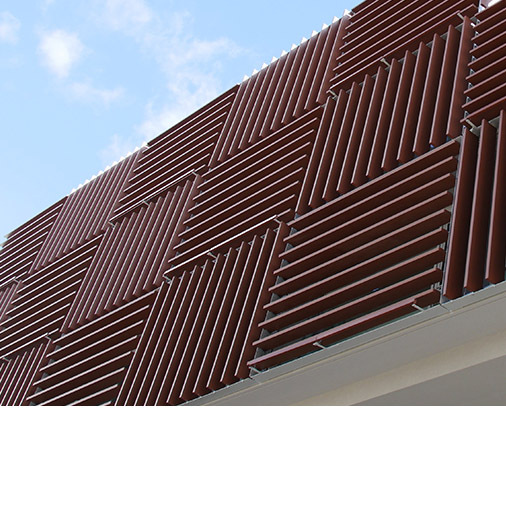 The building skin includes a custom-made system of electrically operated rotating louvres integrated into a grid canvas structure covering a surface of 2.500m2. 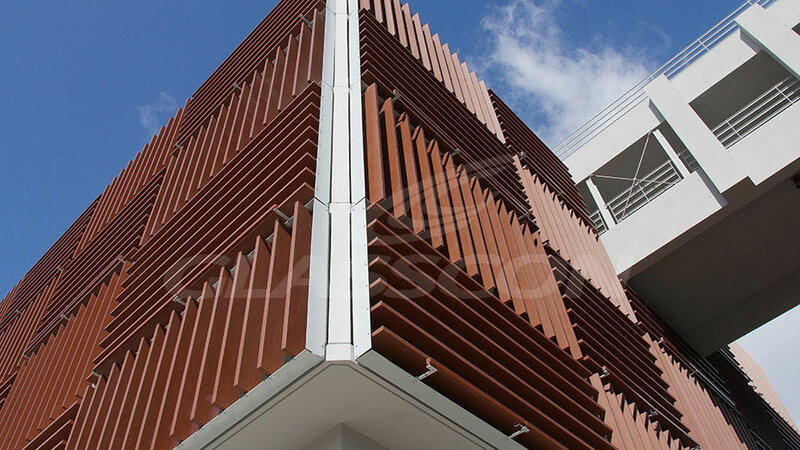 The complete façade consists of more than 200 separate segments with aluminum louvres of various sizes, positioned horizontally or vertically forming a chessboard like pattern that grants the building a unified, powerful identity. 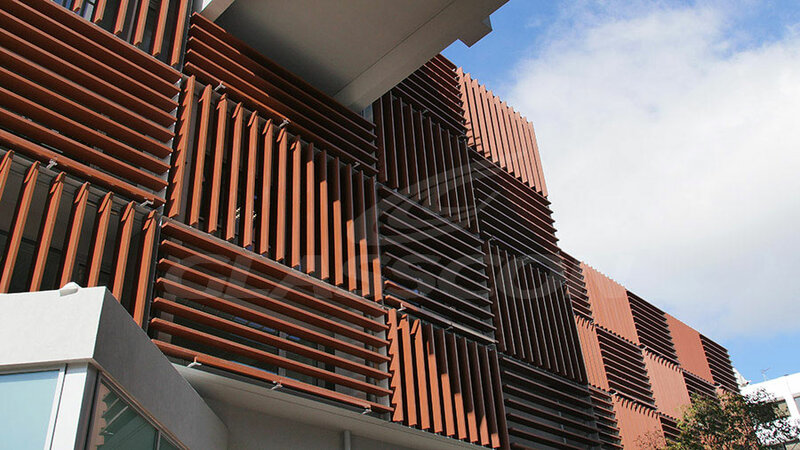 Following the architect’s design intent, aluminum shades were custom designed as one piece aluminum profiles with specific rectangular sections of 300 x 50 mm. 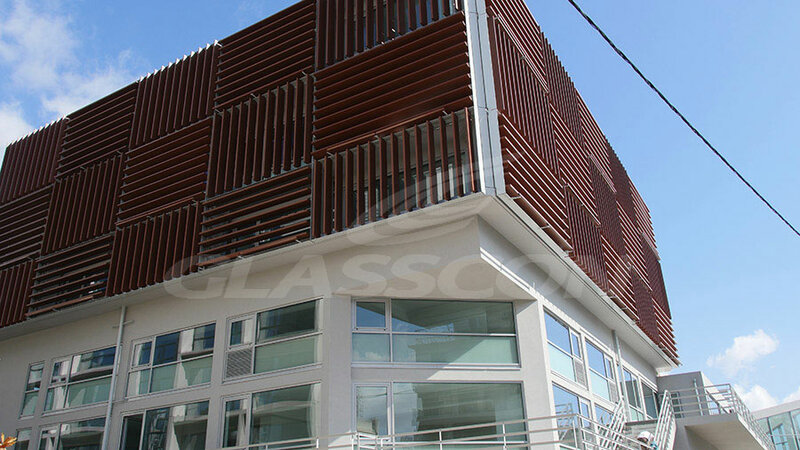 Their position adjusts to the sun’s trajectory, allowing sufficient sunlight and heat gains during winter and providing required shading during the warm period, while allowing undisturbed view from the interior of the building. 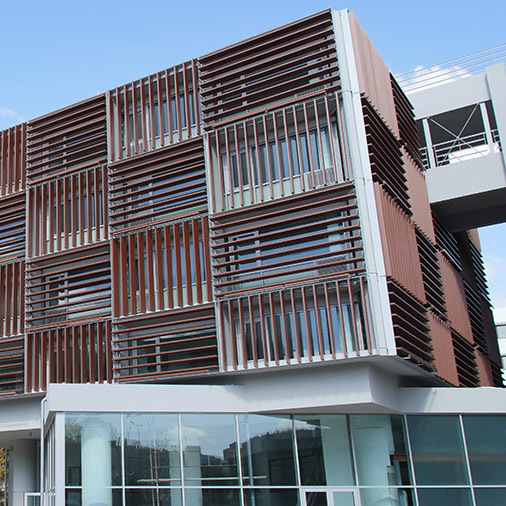 Furthermore, the second building envelope through its centrally controlled (BEMS) and motorized operation, reduces energy consumption by minimizing HVAC loads and decreasing electricity bills for interior lighting.